Liquid waterproofing plays a significant role in protecting buildings and infrastructures against water and moisture. 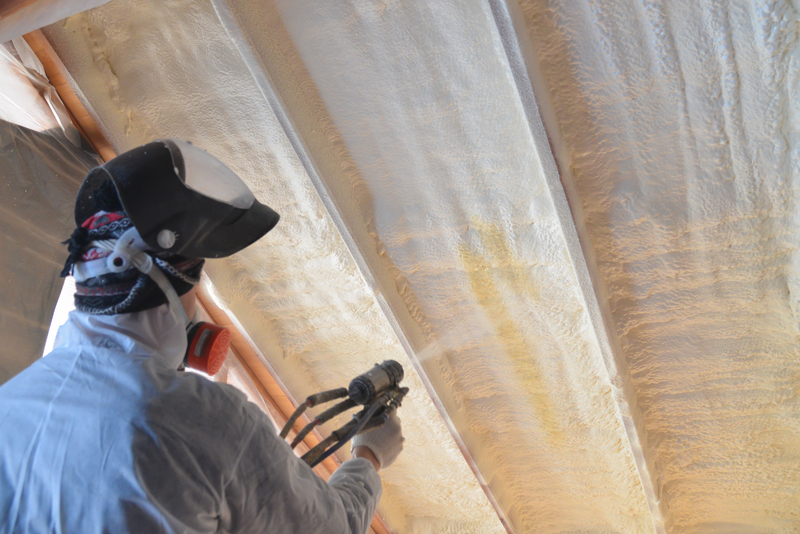 The technology of applying waterproof membranes is continuously improving. The construction industry is continuously innovating new and reliable ways of installing membranes on buildings. Liquid waterproofing membranes are advantageous when applying on curved and irregular surfaces. Also, the membranes cures faster after application due to the substances used in mixing the liquid. Liquid glass membrane is suitable for applying on roofs and glass surfaces. Materials that are used in making the glass waterproofing membrane include sodium and potassium salts. The process of application is easy because it involves a spray of a brush. It is also an affordable method of waterproofing as compared to others. The advantage of using liquid glass materials is because the semi-fluid substance can penetrate through small cracks and pores. It is suitable for both exterior and interior parts of concrete surfaces and walls. The main component in this material is silicone. The advantages of silicone are that it has high levels of elasticity and permeable to vapor. It is non-toxic, odorless, and non-combustible hence it is safe to apply to an already occupied building. This type of membrane is used to treat balconies, bathrooms, roofs, and walls. It is also suitable for covering wet areas like bathrooms and ceramic floors. This method can be applied on top of an existing coat by spraying to increase the strength of the membrane . It is suitable for repairing broken membrane . Polyurethane liquid membrane is a highly recommendable membrane for protecting your roofs, walls, and floors. Polyurethane is highly resistant to UV rays and is elastic. Its elasticity nature makes it suitable to fit in large cracks and holes on concrete surfaces. It is easy to apply since it requires a spray or a roller, it maintains a seamless coating for many years, it is resistant to frost, and is permeable to vapor. Polyurethane can be injected on concrete cracks for quick and simple fixing. Unlike the other types of liquid waterproofing, polyurethane needs to be applied on a cleaned and dry surface. Liquid rubber involves two materials; modified bitumen and an aqueous polymer. These two substances play a significant role in protecting concrete structures from moisture and water. The application of this membrane needs to be air tight for it to provide a seamless membrane . Therefore, the contractors need to be extra careful when applying this membrane on surfaces. It is highly resistant to extreme temperatures and requires minimal surface preparation. A liquid substance can easily melt on the surface to form a seamless membrane of the applied surface. It can penetrate into micro cracks and holes on the concrete surface. The liquid coating can cover irregular surfaces like tanks, pipes, roofs, and drainage systems. It takes fewer hours to install a liquid membrane because it only involves the spraying of the semi-fluid substance on a surface. In some cases, a roller can be used to apply the membrane. It does not require much labor like when installing membrane sheets on a surface. The liquid substances dry up quickly making it suitable for quick repairs. Liquid waterproofing membrane is superior and provide a long lasting protection coat. It extends the lifespan of your building because it can withstand extreme temperatures and rainfall. However, after the warranty period is over, it is important to install a new membrane. There is no welding or fixing of the membrane during installation. It is purely spraying or rolling the semi-fluid on the surface. It saves a lot of installation time that would have been spending on other waterproofing membranes. The membrane is resistant to detergent chemicals. You can easily clean a surface that has been installed the liquid membrane without worries. It is resistant to tear and wear ensuring a long lasting protection cover. It also easy to repair the membrane. Waterproofing Singapore services come with a warranty. We have free follow-up services to ensure that our customers are fully satisfied. Contact us today!